The Centre has launched a 24-hour free-to-air TV channel named ‘DigiShala’ to educate people about digital payments in order to move towards a cashless economy. The channel, available in Hindi and English on DTH service, will be airing shows targeted at the rural and suburban population to inform them about various aspects of going digital through talk shows and demonstrations. The government will launch a nationwide toll-free helpline 14444 within a week to provide support related to cashless transactions, reports said. The ‘Cash Mukt Bharat Abhiyan Helpline’ will help people find suitable options depending on whether they have a smartphone or not. Earlier this week, the government launched a new television channel and a website to promote digital payments. J&K CM Mehbooba Mufti flagged off the first children special train in the Valley. 612 children of various schools will board the train and the railways department is planning to run it on every second Sunday. It is seen as an initiative to bring back normalcy in the volatile state. Pranab Mukherjee launched a campaign, on his 81st birthday, to end child labour, child slavery and violence against children. He launched the ‘100 Million for 100 Million Campaign’ organised by The Kailash Satyarthi Children’s Foundation. The UN General Assembly on December 11, 1946 voted to establish the United Nations International Children’s Emergency Fund (UNICEF), to bring life-saving aid and protection to children in the aftermath of World War II. UNICEF grew into a vocal advocate of children’s rights during the 1970s and is currently working across 190 countries for child rights. Sweden has run out of garbage and is being forced to import trash from other countries to keep its recycling plants functioning. The recycling plants burn waste to generate energy that is used to power household heating systems during the country’s cold winters. Sweden’s recycling system is state-of-the-art, with under 1% of household waste being sent to landfills in 2015. Italian President Sergio Mattarella asked Foreign Minister Paolo Gentiloni to take over as the Prime Minister and form the new government. Gentiloni’s new role will not be official until he chooses his cabinet and secures a vote of confidence in parliament. This comes after former PM Matteo Renzi resigned when his nationwide referendum on constitutional reforms was defeated. 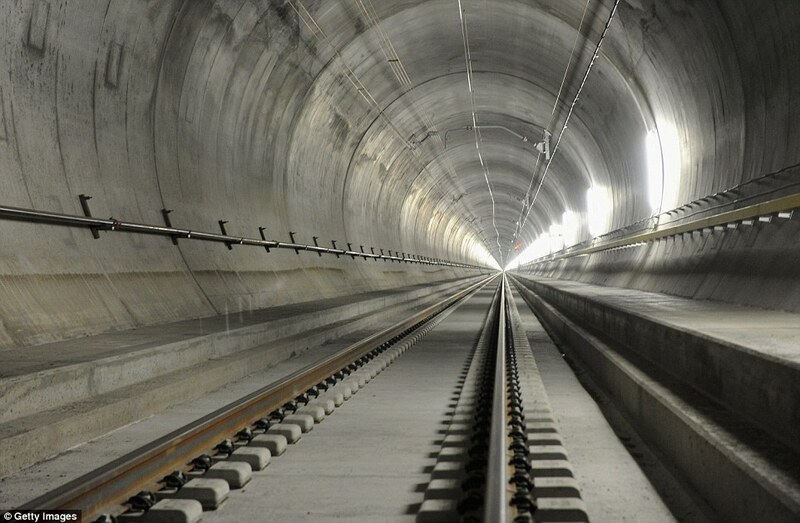 The world’s longest tunnel was officially opened for regular rail service in Switzerland. The 57-kilometre-long Gotthard Base Tunnel (GBT) will allow transporting passengers under the Swiss Alps from Zurich to Lugano, 30 minutes faster than earlier. The GBT took around 17 years and over ₹79,600 crore to build. Virat Kohli became the first Indian to score three double hundreds in a year, playing against England. His first-ever Test double century came against West Indies this year, followed by another against New Zealand. There are only three batsmen who had scored three double centuries and one batsman who has scored 4 double centuries in a single year. Mumbai’s Iqbal Sayed, who works as a civil engineer with Reliance Infrastructure and Mumbai Metro, became the first Indian to win a medal at the Mr Olympia event, after securing a silver medal in the event. Sayed beat participants from 20 countries to finish second in the Olympia Amateur Asia 2016’s Classic Bodybuilding category. The International Olympic Committee has officially recognised cheerleading as a sport, granting $25,000 as annual funding to the International Cheer Union (ICU). Cheerleading involves yelling or intense physical activity for sports team motivation and audience entertainment. The ICU, which has 105 national federations, will have a three-year period after which it can push for Olympics inclusion. 1. What is the name of the TV channel, launched by the Government of India, to educate people about digital payments? 2. What is the name of the campaign launched by the President, to end child labour? 3. When was the United Nations International Children's Emergency Fund established? 4. Which new sport has been officially recognized by the International Olympic Committee? 5. Who became the first Indian to score three double hundreds in a year? 6. What is the length of the longest tunnel in the world that is located in Switzerland?